Mounted on a solid black crystal base, this crystal faceted spire brings to mind a beacon of light. Personalize the base to reward the achievements of the shining lights in your organization. 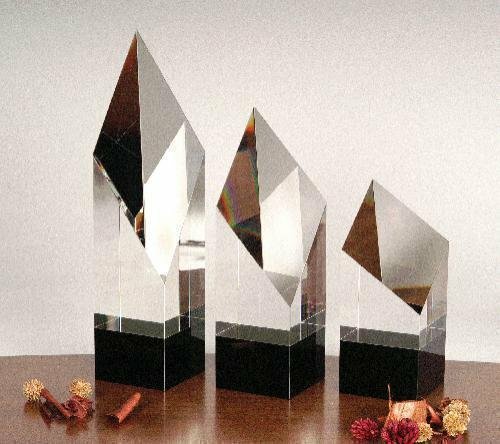 This premier crystal award comes packaged in an elegant lined presentation box.